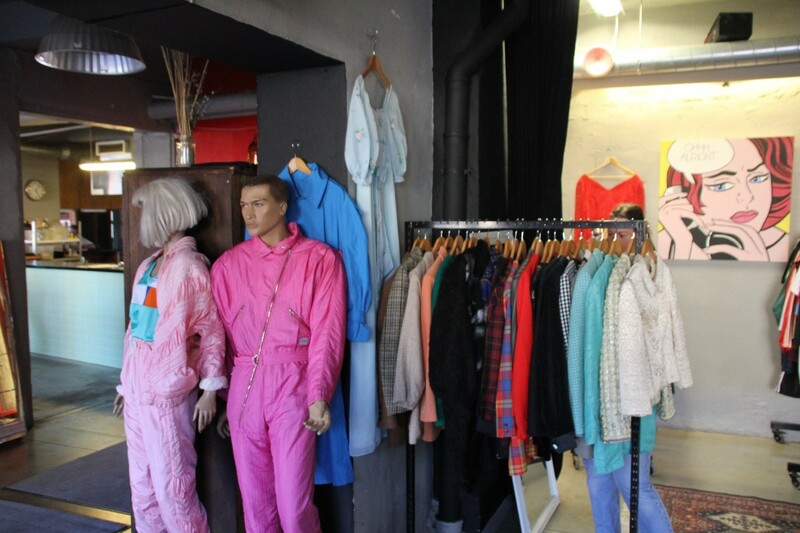 Tallinn offers quite many amazing vintage and second hand shops for hipsters and others alike! 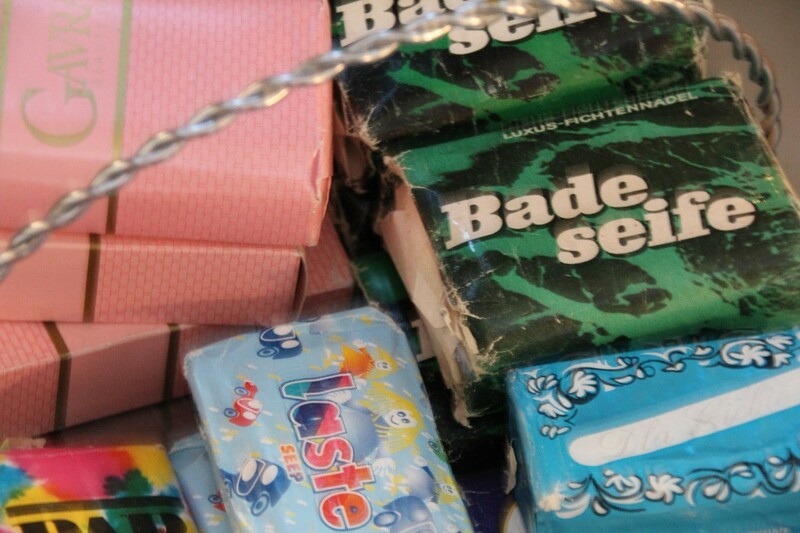 Have a look at these 5 shops we've chosen for you. Have a look at these shops! Fankadelik is special. Unique. It kind of feels like stepping into a cross over between The Great Gatsby and The Devil Wears Prada. The first room you enter, once you've found your way up the "hidden stairs", is shouting out with colors and denim and leather and LP-records and some Andy Warhol-like paintings hanging from the roof. Then, beyond the massive curtains in elegant scarlet velvet, the 1930's reveal themselves to you as when you looked in to your grandmother's closet as a child. The owners of Fankadelik spends both time and effort traveling around the world, handpicking all the items. You can truly find treasures here. Vintage handbags from Gucci and Dior, quality fabric Yves Saint Laurent dresses, sequin and fur, leather and lace. Fankadelik smells of old quality. 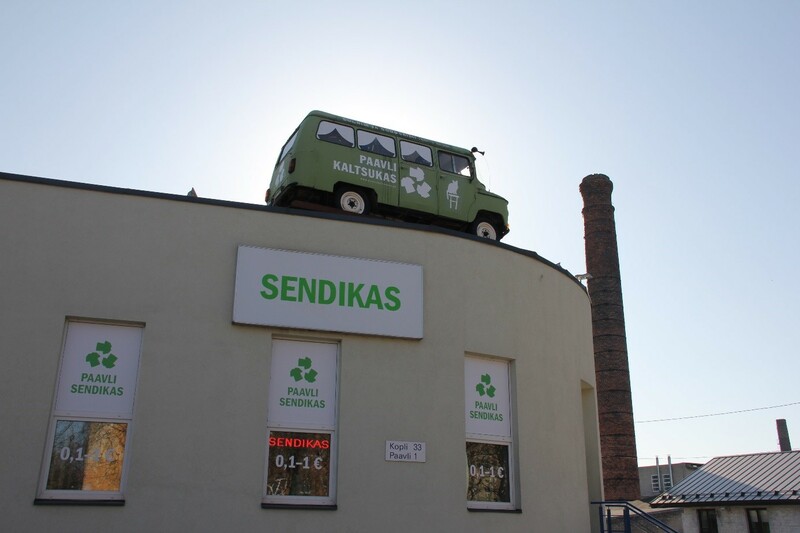 Please note that Fankadelik only sells womenswear. How to get there: If you're in Tallinn Old Town, walk. If you're not in Old Town, get to Old Town, then walk. Can’t decide whether to go shopping, or drinking? No worries! You’ve found the right place. 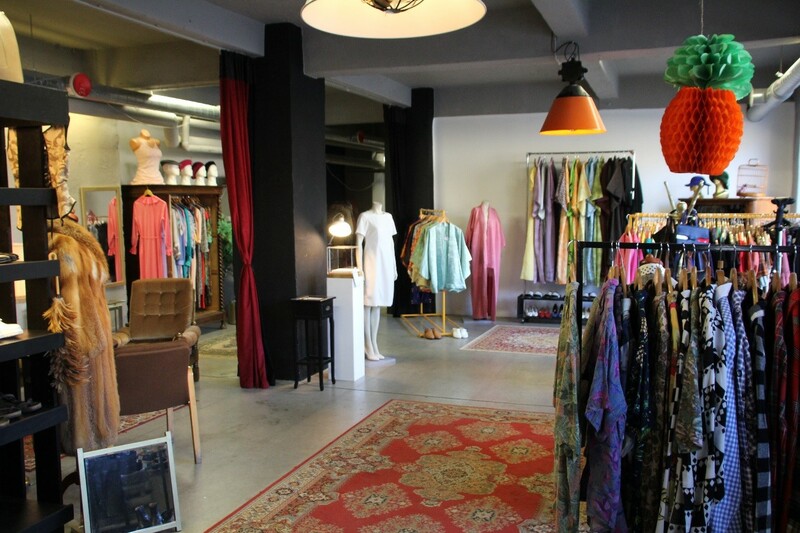 Kopli Vintaaz is a combined vintage shop and bar. You can have a drink while looking at some real 501’s. The place is laidback and relaxed, with plenty of chairs and sofas for you to kick back in. 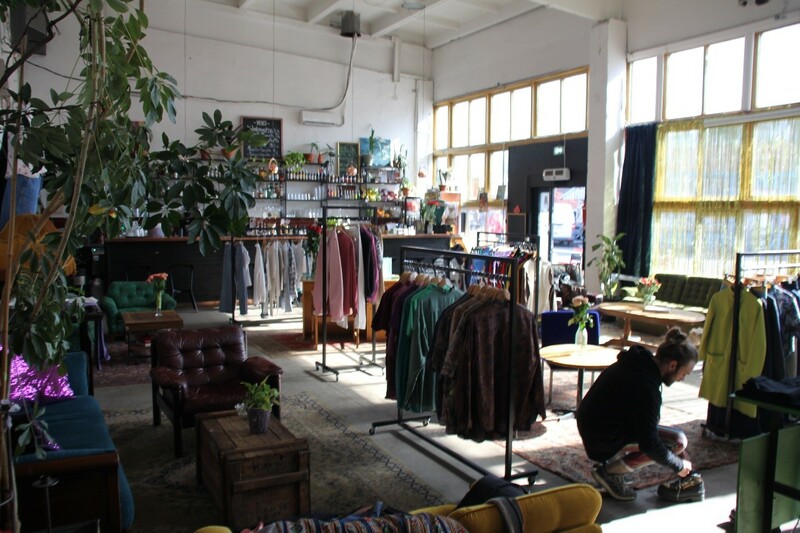 This is a great place if you are looking for the hippest trends within vintage, but also some undying classics – Adidas tracksuits, LEVI’s old school 501’s, flower power short sleeves and velvet pants. If you are into stuff from the 80’s and 90’s, this is your place! Kopli Vintaaz is located in Telliskivi Creative City, just across the railway from Tallinn Old Town. It takes you no more than 10-15 minutes to walk here from Old Town. And, make sure to remember the location, because this is a hefty nightclub when the sun goes down. Kopli Vintaaz has both menswear and womenswear. How to get there: When you cross the railway station, go left and trough the Balti Jaama Turg. Look for the restaurant inside an old train wagon (which is impossible to miss) and Kopli Vintaaz is right by. This is one of many pearls packed in the limestone warehouse now serving as the very epicenter in Telliskivi, the huge market of Balti Jaama Turg. At this market, you will find close to 300 different merchants and shops, selling everything from Estonian black bread and butter to old Soviet uniforms and antique art. Don’t worry though, MS Vintage is pretty easy to find. When entering MS Vintage you know you have found quality right away. Most of the clothes are sorted by color and by type, making it easy for you to go shopping. In addition, the store is sprinkled with details and effects making it lively and pulsating, and the staff there is really nice! 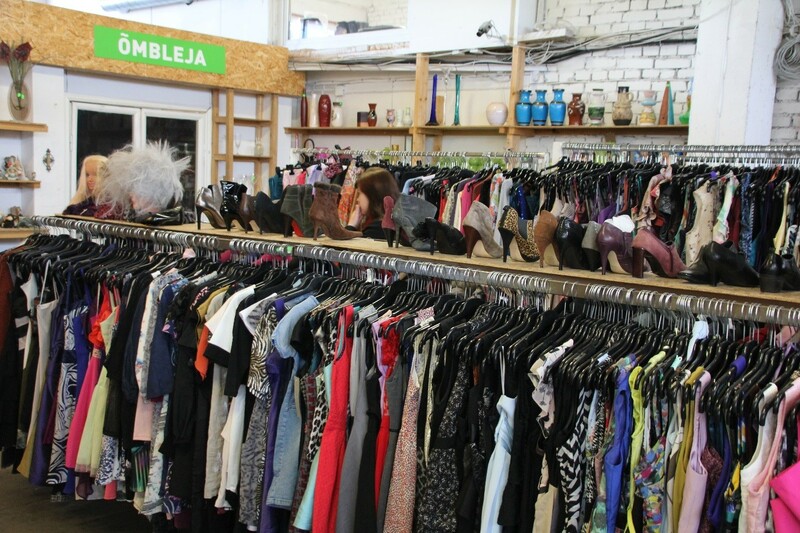 Come to clothing, you will only find womenswear here. They have, however, a wide variety of non-clothing treasures as well. How to get there: Find Balti Jaama Turg, which is pretty easy, and head to the top floor. It is an open shop, amidst several others. However, you’ll know it when you see it – look for the golden balloon letters saying “vintage”. A bit far from the city, but Kopli Couture is definitely worth the trip. Looking for some sweet and crash pink, aggressive alpine skiing suits – Kopli Couture has your back! How about a huge and flawless red fox fur? 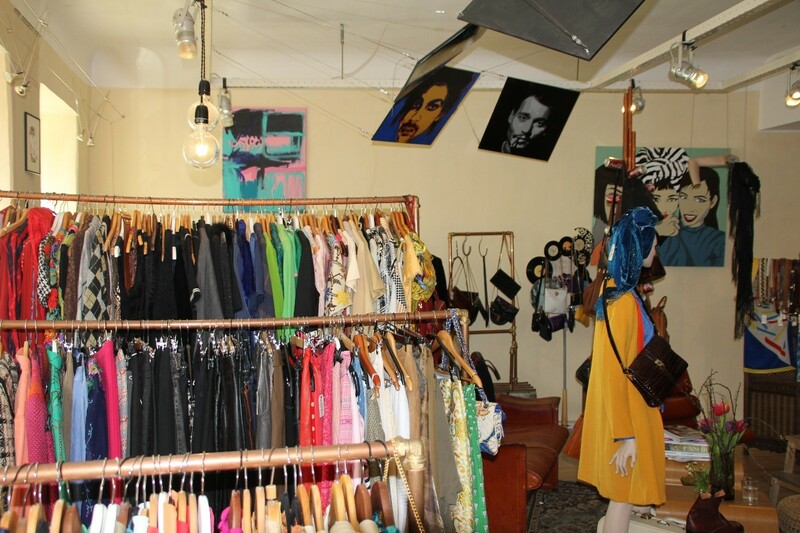 This place is a place of quality vintage and cool treasures. Since it is a bit far from the city, you a probable to get the store all to yourself. Flowery dresses, trench coats, a full body leopard tights(! ), classic Vans shoes, flannel jackets and rock n’ roll t-shirts – you are destined to find something uniquely cool at this place! It has a retro feel to it that you look for in any vintage shop, but seldom find. A rare pearl. Kopli Couture is located in a semi-open room solution, right next to a small bar and restaurant. 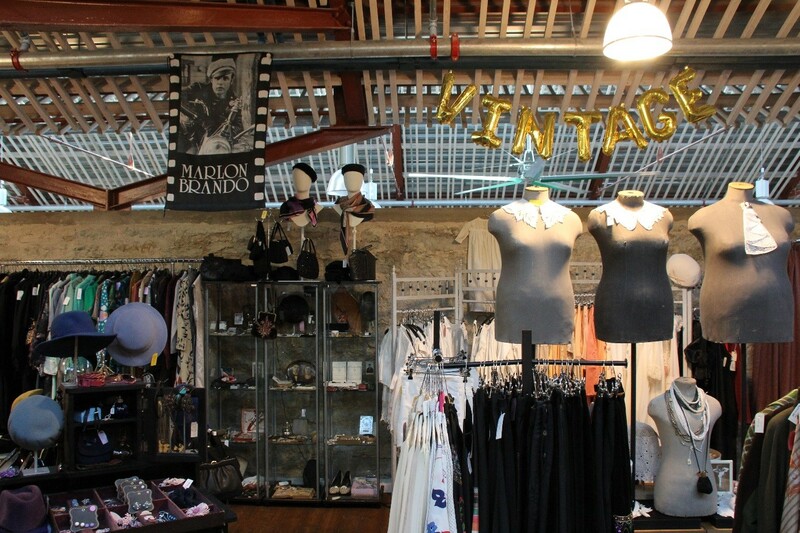 Here, you may sit down to grab a cold drink after a long afternoon of vintage shopping. You will find both menswear and womenswear here! How to get there: This is right in the same area as Paavli Second Hand. It is possible to walk, but we would recommend taxi, tram or bus, or maybe a bicycle! 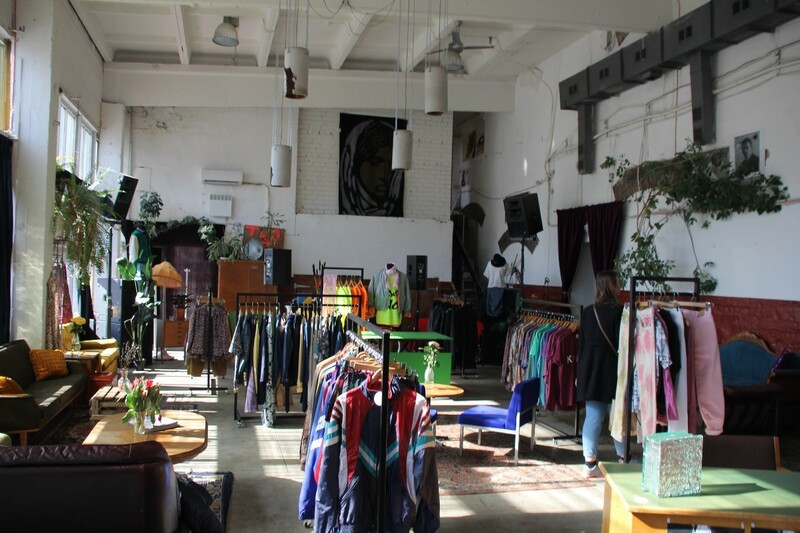 This is more of a second hand store than a vintage shop. Quite similar to a Norwegian Fretex, but it is huge! You can surely find some treasures here, if you are willing to dig for them. The warehouse is located a bit out of the city center, so you might as well take the time to dig if you decide to go. At Paavli Second Hand, you will find rows and rows with different clothing. Dresses, suites, jackets, shoes, hats, shirts, you name it! The best thing here though, are the prices. You will have no problem upgrading your dressing room here. The place is located in an industrial area, which might be a bit tricky to find. However, when you see the green recycle symbol with t-shirts on signs on the walls, and the van on the one roof, you are getting close. 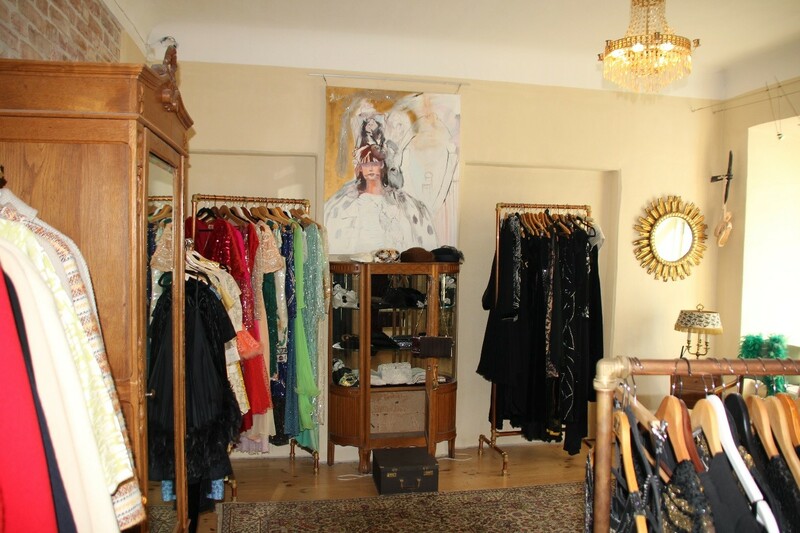 Close by you can also find the smaller vintage shop Kopli Couture. Definitely worth the visit! Here, you may find all kinds of wear: men’s, women’s, children’s, possible even dog’s. Good luck on your little adventure! How to get there: This is right in the same area as Kopli Couture. It is possible to walk, but we would recommend taxi, tram or bus, or maybe a bicycle! Estonia is a country that’s in love with all things digital, but it has plenty of traditional charms to offer, too.